The Museum of Liverpool is really the story of the city, told through the objects inside and the memories of the people involved. It’s housed in a funky modern building which is the new centre-piece of the waterfront area and its well worth a visit. Inside there are several galleries, each cataloguing a different part of the city’s history. 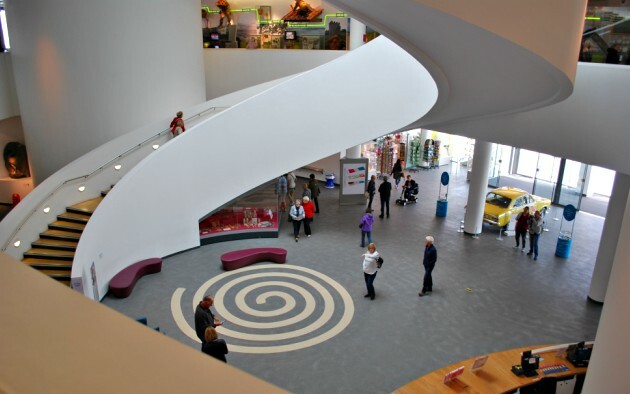 These galleries are all accessed through a central huge atrium with a spiral main stairway rising through it. Some of the objects on display were actually made in Liverpool, others were significant parts of its history. The most impressive gallery is the one telling the story of the docks. It’s packed with information explaining the growth of the city, but your eye will be caught by the re-constructed section of the old overhead railway complete with a carriage for you to sit in (pictured below). The other eye-catching gallery is the one with the huge wall of windows looking towards the Liver building. 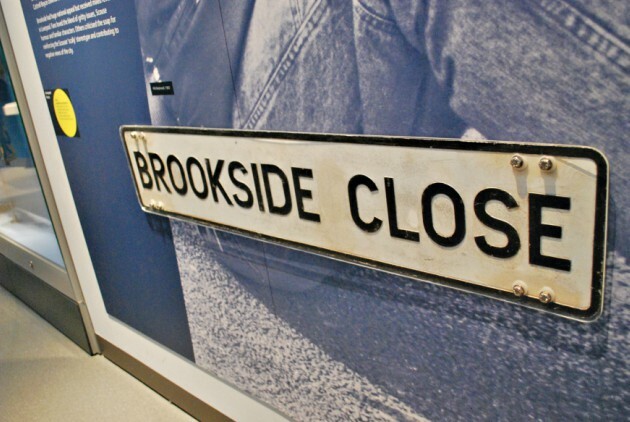 Other galleries in the museum look at Liverpool’s impact of the world, the people who make up the city, the music which came from here including the story of the Beatles and culture of the place. There’s even a small section dedicated to the long lost TV soap opera set here, Brookside. 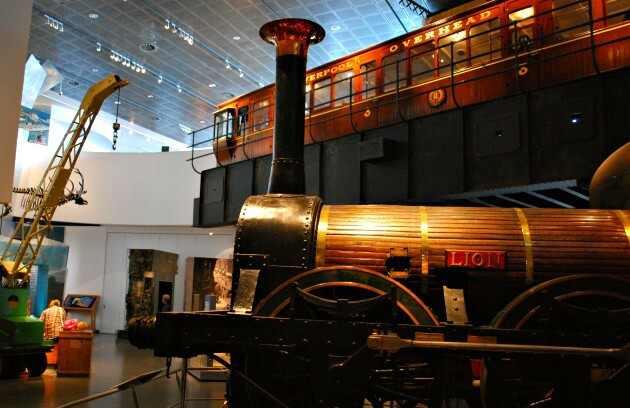 All in all, this is one of the best city museums we have been in and you can spend as long as little time as you want here depending on the time you have in Liverpool. It certainly gives you a better understanding of what makes the city tick. 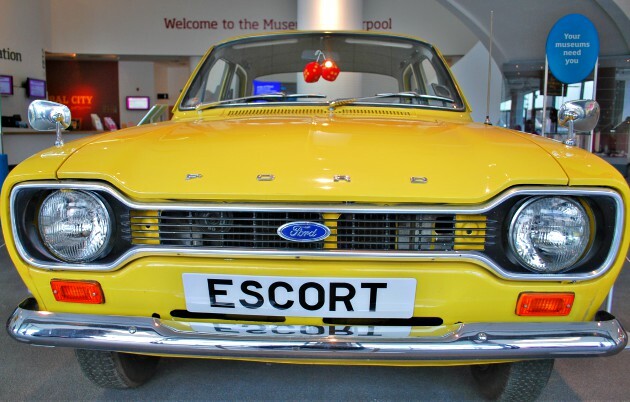 Admission to the Museum of Liverpool is free and it’s open from 10am to 5pm daily. The cafe is often busy, but has a lovely view towards the city.